Hong Kong is definitely one of the culinary capitals of Asia! From traditional Cantonese fare like crispy juicy roasted goose and freshly baked egg tarts, you also must try the iconic Hong Kong milk tea! The Klook team has put together a list of must-try Hong Kong foods that you have to try in order to truly say you’ve been to Hong Kong. For the uninitiated, egg tarts are crispy buttery tarts filled with sweet egg custard, or in other words, a slice of heaven. These iconic treats can be found in almost every corner of Hong Kong, but read on if you want to find out where to find what we think is the best egg tart of them all! Tai Cheong Bakery (泰昌餅家) Home to one of the BEST egg tarts in Hong Kong, Tai Cheong Bakery has been around for 60 over years. Baked fresh every day, these egg tarts are guaranteed to put a smile on your face. As the buttery crispy crust melts in your mouth, feel the sweet egg custard burst and cover your tastebuds. It is truly one of the best mid day snacks one can have in Hong Kong. Klook yourself a box of 6 egg tarts trust us, one is not enough and all you’ll need to do is flash your mobile e-voucher whenever you feel like getting some since the vouchers are open dated! KlookFunFact: Hong Kong milk tea is often referred to as silk stocking milk tea because the cloth bag the tea leaves are strained through turns pink after a few rounds of steaming, similar to the color of skin. You must be wondering, what’s the difference between the regular black tea with milk and this Hong Kong version? Well, the Hong Kong style milk tea, made with condensed milk is sweeter and creamier than your average cup of tea. Made with condensed milk, locals chug this classic drink piping hot in the winter and ice cold in the summer! Read on to find out where to get the best Hong Kong milk tea in town! Said to be the pioneers of the Hong Kong milk tea, this hole in a wall is home to one of the best cups of Hong Kong milk tea you’ll find in town! Couple it with a pork chop bun or a condensed milk butter bun and you’re all set for one of the best snacks you’ll have in Hong Kong. We personally prefer the iced version of their Hong Kong milk tea especially after all that walking, but if you’re an old soul the warm one is thick, strong and packs a punch! We’ve all be in that dilemma where we want cold milk tea but we don’t want the ice cubes to dilute it. Well, Tai Hing has come up with the perfect solution for you! They serve their cup of cold milk tea in a bowl of ice to keep it cold and you no longer have to worry about watered down milk tea! One of the MUST-EATS in Hong Kong is definitely the roasted goose. Think plump, juicy and tender goose meat covered in skin so crisp you can hear the crunch when you bite into it. Dip your roast goose into that sweet plum sauce you definitely would not be able to stop at 1 piece. Roast goose can be found in many Hong Kong restaurants but we saved you the trouble of trying them all and narrowed down the best one to get your roast goose fix. If you’re looking for the traditional, authentic taste of Hong Kong roast goose, head to Yung Kee. Established in 1947, it’s 75 years of history is more that testament to its deliciousness! You definitely cannot miss the storefront with its flashy gold exterior, but you’ll be surprised to know that this michelin starred restaurant started off as a dai pai dong (roadside stall) ! Apart from the famed roast goose, which is definitely a guaranteed must order, you should also try out the century eggs with pickled ginger, the deep fried prawn with mini crab roe and the sweet and sour pork! Klook yourselves a Dine in cash coupon and order HK$500 worth of food at a fraction of the price! You can also take home a piece of goodness in the form of a jar of XO sauce which you can use to recreate Hong Kong memories or even the famed century eggs. Whip up dishes of your own back home and relive your Hong Kong experience! KlookfunFact: Polo bun (bo luo pao) which means pineapple bun, actually does not have any pineapple in it at all! The top of the bun just resembles that of the exterior of a pineapple, though some places have decided to sandwich a slice of pineapple in between (which we heard was quite a hit). Baked fresh in the oven every 10 minutes ( yes, that’s how quickly the buns sell), Kam Wah is known to have one of, or not the BEST polo buns in Hong Kong! Served with a huge slab of butter, these warm buns come crunchy on the outside and soft and fluffy on the inside. While most polo buns don’t come with a pineapple, this one from the Pineapple Canteen does! Bringing a refreshing twist to the regular polo bun, the crunchy juicy pineapple slices coupled with a plop of fresh cream definitely take the polo bun to a whole new level. Also known as eggettes, a bite of these Hong Kong egg waffles will surely leave you wanting more. With it’s crispy edges, eggy taste, soft and yet chewy with half hollow centre, this snack is perfect whatever time of day. Yknow these Mammy Pancake egg waffles are legit when they’ve earned themselves a spot in the Michelin Guide to Hong Kong street food. Choose between the original flavor or their signature Sweet Potato or Green Tea & Red Bean flavor. Perfect for a take-to-go snack after a long afternoon of shopping, don’t forget to pair it with a milk tea or lemonade! Klook yourself a waffle and drink combo, we promise you it’s an eggcellent choice! If you find this picture familiar, it’s probably because you’ve seen it on almost every Hong Kong foodie’s Instagram feed. There are 4 different types of gooey savoury cheese lying on that bed of crunchy toasted bread, and all the colors used are made from natural ingredients like basil and tomato. Grab a rainbow cheese toast from Kala Toast on your way to the peak and munch on this unicorn wannabe as you take in some of the best views of the city. Klook yourself a signature rainbow combo for the ultimate rainbow experience as it comes paired with a fruity flower fizzy drink guaranteed to leave you seeing stars. All you need to do is flash your mobile voucher and get ready to eat! If you’re a fan of seafood in Hong Kong, this spot should definitely be on the top of your list. This under bridge spicy crab is so famous that visitors include the likes of culinary hero Anthony Bourdain! Using only the freshest seafood hand picked by the head chef, it’s no wonder this place is frequently patronized not just by tourists but also the locals. The star of the show would definitely have to be the spicy crab, deep fried and tossed in a special typhoon style sauce. If you’re not great with spice, be sure to let the server know so he can tune down the spice levels on your order! Klook yourself a Under Bridge spicy crab set meal to try all of their best dishes in 1 meal. All you’ll need to do is make an appointment the day before you visit, show your mobile e-voucher and get ready to feast! As you stroll along the bustling streets of Hong Kong, you’ll definitely see the signature red and gold signboard of this dessert chain Hui Lau Shan. Home to some of the best mango dessert in town, you should definitely put this on your to-eat list if you’re a dessert fan. Rest your feet from all that shopping with the Mango sampler platter and you’ll get a taste of all their best dishes! 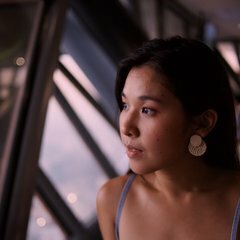 Or, if you want to make the most out of your time in Hong Kong but still want to try the delicious mango desserts, grab a Mango drink with tapioca or jelly for an extra chew as you slurp up the cold sweet slushie. Check out where to find a Hui Lau Shan near you! You might be thinking, scrambled eggs?! Yes, we kid you not. When you talk about Hong Kong style breakfast, most people immediately think of the Australian Dairy Company’s scrambled eggs and steamed milk. Be prepared for extremely long lines, grumpy service staff but possibly, the best scrambled eggs you’ve tasted in your life. Opt for the all day set to get the best that place has to offer! With the signature scrambled eggs, toasts and even a bowl of macaroni, you’ll be all fuelled up for the adventurous day ahead! One other thing you definitely should try is the steamed milk pudding! Sweet, smooth and possibly the best milk pudding in the city, it’s so addictive you might just order a second bowl. This might not be the fanciest dining option, but it is definitely one of the most memorable things people eat while in Hong Kong. The cold noodles from Bai Wei Shi Pin (百味食品) are so addictive you might come back for more! Order a bag of noodles, choose the toppings of your choice, add some sauce and dig in. We recommend getting the seaweed and imitation crab and perhaps some corn for the crunch factor and topping it with a heap of garlic. With so many food options, you can almost be certain that your pants will be a little bit tighter after this. We suggest going for a hike on Hong Kong’s most picturesque trail, Dragon’s back! 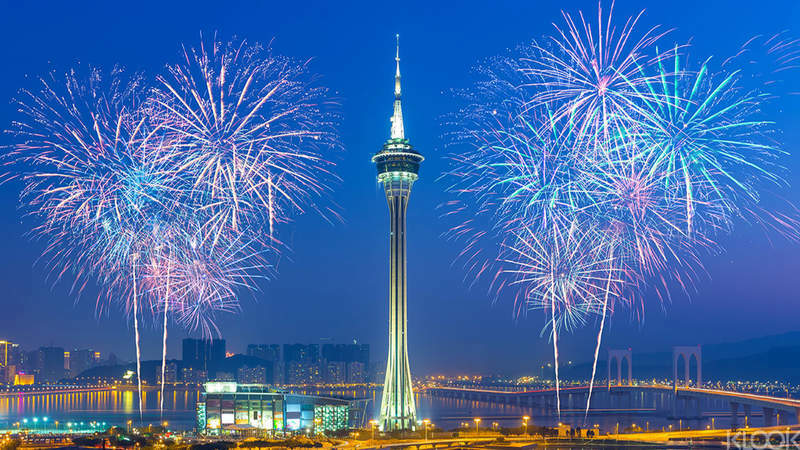 From mountain ridges and secluded forests to the white sands of Tai Long bay, enjoy the view and work off those egg tarts! No visit to Hong Kong is complete without a day spent in Hong Kong Disneyland. Defeat the Evil Emperor Zurg in the Astro Blasters ride, race into a whole new galaxy on Hyperspace Mountain and of course snap pictures with the beautiful Disney princesses for a complete experience! 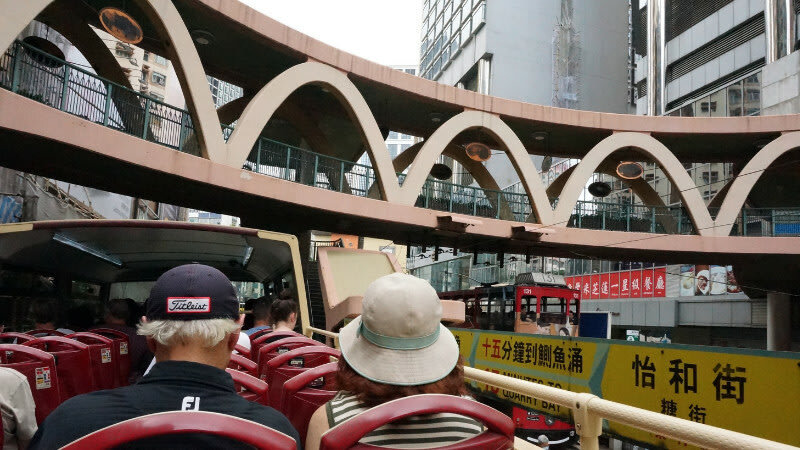 If you’re looking for a fuss free way of exploring all of Hong Kong’s famous landmarks, the iconic Hop on hop off Big Bus is the perfect option! Alight at any of the stops, explore the area and hop back on to continue on your Hong Kong adventure. Read on to find out which routes you should take and which attractions the bus routes cover. 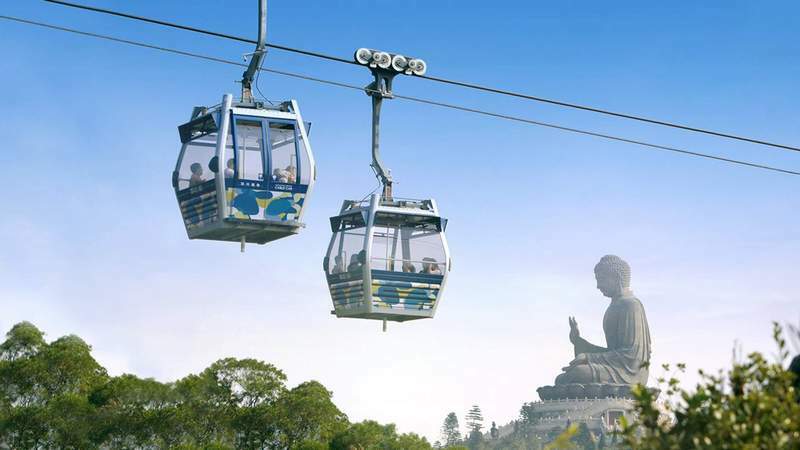 One of Hong Kong’s most unique attractions - Ngong Ping 360 cable car ride - is a must-visit, as well as the Tian Tan Big Buddha and Po Lin Monastery nearby!